Kansas farm income is one of the hardest hit in the nation. That’s according to David Widmar’s syndicated Agriculture Economic Insight. Those numbers were shared with House of Representative members by Majority Leader Don Hineman, Dighton cattleman serving the 118thDistrict. “I long for the good old days,” Hineman said. “After peaking in 2013, U.S. net farm income has trended lower over the last five years,” Widmar said. While national-level data are important and often cited, impacts of the farm economy slow-down have varied by commodity and geography. These data, however, are often a year behind with the most current state-level data for 2017. State-level net farm income average of 2016 and 2017 was compared to the boom era average of 2011 to 2013. “At the national level, net farm income has declined 42 percent across these two periods,” Widmar said. The Corn Belt and Northern Plains states have been hard-hit by falling farm income. 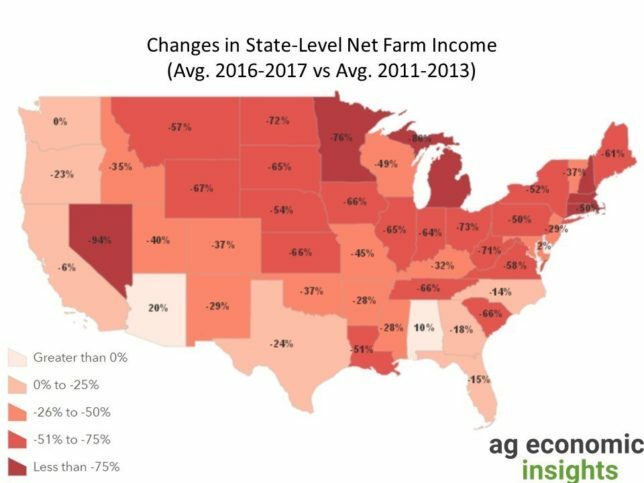 Iowa, Illinois, and Indiana have experienced net farm income falling by nearly two-thirds. State-level farm income has fallen by more than 70 percent in North Dakota, Minnesota, and Michigan. “Kansas farm income was down 60 percent,” Widmar numbers showed. “Outside of the Midwest, the farm economy slowdown has been, generally speaking, less severe,” Widmar pointed out. “Recent income declines have generally occurred where farm income growth during the Boom Era was strongest,” Widmar emphasized. “It can be difficult to capture and articulate the current farm economy slowdown,” Widmar admitted. “There are often lots of timely, robust data for national trends,” Widmar said. “However, these broad averages can miss geographic variations and the distribution of the financial challenges. Variations can be evaluated comparing farm income from 2000-2004 before the boom-era to the average during the boom 2011-2013. “It’s quite surprising how much variation occurred across the U.S.,” Widmar compared. “Largest increases occurred in Kansas, Nebraska, South Dakota, and North Dakota as well as Iowa, Illinois, Indiana, Minnesota, and Michigan. During the boon, farm incomes were up 188 percent in Minnesota, 167 percent in Kansas and 156 percent in Nebraska. “In the case of these states, farm incomes more than doubled over the time periods spanning 13 years,” Widmar noted. For example, net farm income in Nebraska went from an average of $2.5 billion in 2000-2004 to $6.3 billion in 2011-2013. However, it’s essential to remember that the ag economy boom wasn’t felt evenly across the U.S. In fact, some regions completely missed the farm economy expansion. Net incomes in the Southeast and Texas went down during these two periods. “In Texas, net farm incomes contracted 34 percent. That same hypothetical $100 in profits shrank to $66,” Widmar said. Ten states had zero or negative farm income growth when comparing the two periods. One large source of variations is the mix and types of agriculture ventures happening within a state. 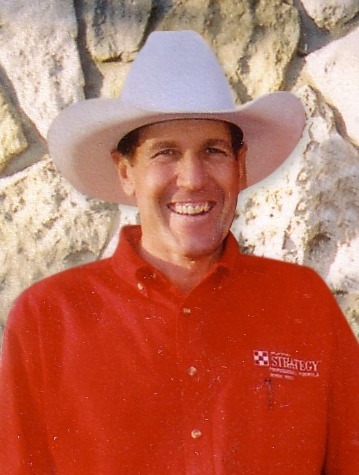 Texas had several years of drought that resulted in difficult management conditions, including cattle herd reductions during the 2011-2013 period.